Just outside the line of what we really want to talk about is that what you put on the inside is just as important as what goes on the outside. A healthy diet, suitable exercise, proper posture, and plenty of rest effects the outside as much as the inside and demonstrates that we treat ourselves with care, love, and respect. Now…in keeping with our topic, we may be crossing a line somewhere but we’re going to give it to you as straight up as we know. Don’t Walk! Run - Fine Line Serum over your little wrinkly parts, you know those places: upper lip, eye and crows feet areas, forehead, neck. Arguably, no cream or lotion can halt or reverse the passage of time, and this includes wrinkles and lines, BUT to some extent we are able to control the visible signs of aging. Let’s face it, aging occurs (that’s a good thing considering the alternative), and the skin gradually loses its elasticity and natural moisture. 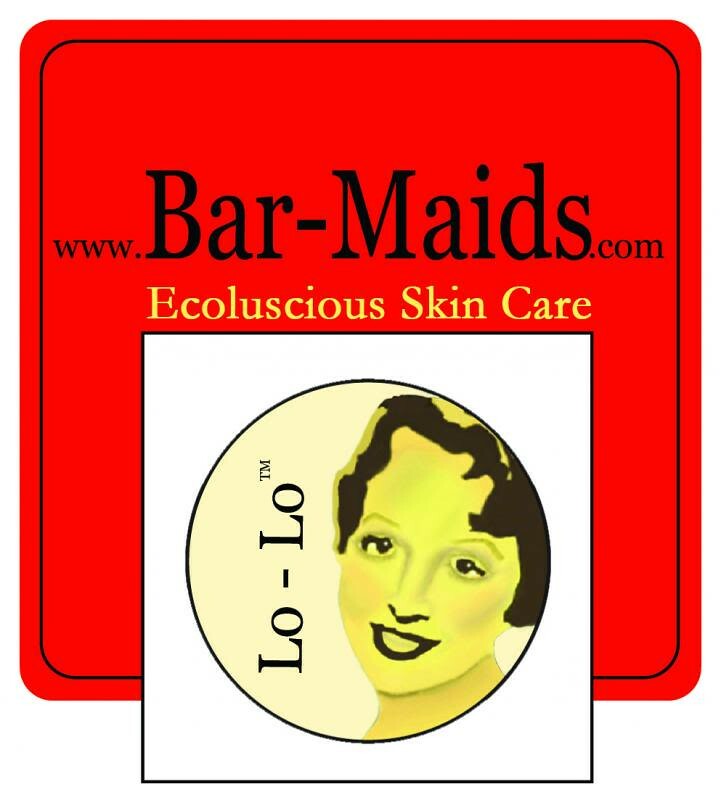 But certain areas can use a tad more moisture of skin loving oils like those found in Bar-Maids Fine Line Serum. Argan, Squalane, Vitamin E, and Grapeseed oils. Packaged in an roller ball applicator, a little goes a long way. Psst…it doesn’t even matter if it’s a straight wrinkly line or not. Jasmin is gushing about the Celestarium, that she wants to knit out of Gourmet Stash yarn. Leslie from the Knit Girlls told her to go ahead. She also is blaming the Mint Rain sock yarn for her staying up to late and knitting. Jasmin is working on a sock for her #countdowntooutlander, #kiltmenowKAL out of the Outlander colorway from Voolenvine in the Lush base, in the Fraser Tartan project bag from Caithness Craft Collective. socks in Hannukah Stripes by Quere Fiber., with her "Dark Tardis" colorway for the toe and heel. There is progress on the Planum socks out of Biscotte & Cie.
Gigi has finished the Schnozberry socks, and has cast on Vanilla socks out of Fortissima Socka in an animal print. She is also working on Mystik Spiral Socks in Ocean Depth from Mint Rain. 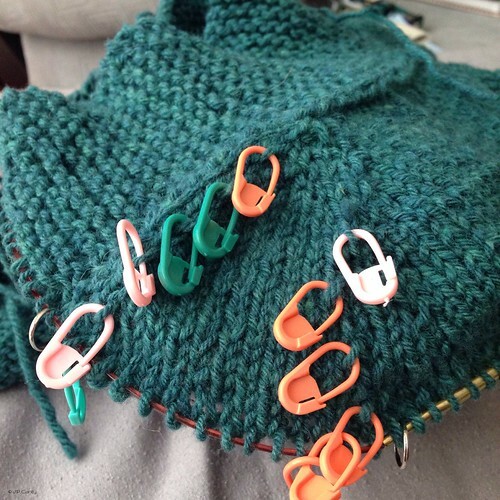 Jasmin has been working on the SPAKAL cardigan again, and she has modified the armhole increases. We mentions that Marly Bird has a Craftsy class that includes making duct tape busts [50% off discount through that link, courtesy of the lovely Marly]. Jasmin talks about the Fit, Flatter and Feel Good Knit-Along. blocking sweaters. Jasmin mentions the OXO Folding Sweater Dryer , SOAK Wool Wash, Blocking Wires, the Scunci Steamer , Arianne by Chic Knits, Blocking Squares by CocoKnits, and Stainless Steel T Pins . This weeks winner is 3trees. 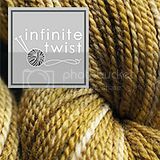 Next prize is a skein of sockyarn by Dizzy Blonde Studios. Jasmin has been attacked by her Cointreau cowl, by Thea Coleman out of Himalayan Trails by Bijou Basin. She found a new pattern by Purl Soho [Structured Alpaca Cowl] on the #SoakWashChallenge. She is going to knit the Cointreau out of Lisa Souza's cashmere in squashblossom. Dream in color sent us some Everlasting yarn, that looks like abalone. Gigi had suggested that Jasmin knit the yarn in the Blueberry Waffle pattern, but it didn't show, ripped. Jasmin finished her barberpole hopper socks. Jasmin talks about the Featherweight that got tuned up at Ray's. Jasmin gushes about Amy Beth's ( The Fat Squirrel Speaks) project bags and the Erin Lane Bags. For knitting dark colored yarns in the day or night, get a Stella lamp. I don't know what I would do without mine. I think my eyes are 20 years younger when it is turned on my knitting. You can get them from a lot of places, even Amazon.